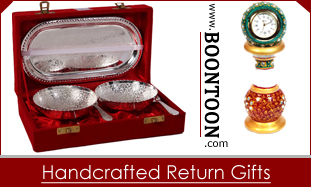 BoonToon June 4, 2014 February 19, 2019 1 Comment on Want To Know Appealing Raksha Bandhan Regional Names? Read This! All of us know that Raksha Bandhan is celebrated all over India, and it has different histories and myths in various parts of India.So owing to this Raksha Bandhan has a truckload of local names, by which it is more popularly known to the people of different communities. The significance of this particular festival also varies from region to region, which is not what you get to see or hear about other festivals. but this festival has a whole different significance in the southern and the coastal parts of India. In this blog, we are about to talk about the various local and regional names of Raksha Bandhan. As already stated above, it has a truckload of names, but we thought of discussing the ones which are really good and would make for a good read. Without wasting any more time let us begin. At number six is Avani Avittam or Upakarman. As you may have already guessed by reading the name, this name is mainly used in the southern parts of India which include Andhra Pradesh, Tamil Nadu, Kerala, and Orissa, although in some parts.This day is said to be very important for the Brahmins, as all of them change their holy threads. Despite the fact that Raksha Bandhan has a lot of regional names, the basic concept of the festival remains the same everywhere. Nice to know the different names and believes of this festival.I was not aware of it anymore.I only knew that in the past once lady tie rakhi to man for and made him brother to protect her.So since then Indian girls tie rakhi to their brother’s for their long life wishes and as guardian for them.I am amazed to know other culture and believes of people like Nariyal Purnima and Avani Avittam or Upakarman has totally different belives for the festival.But its so good that India is filled with so much of traditions.